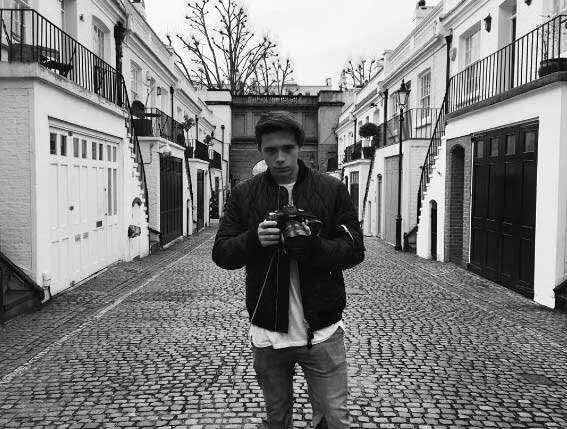 Brooklyn Beckham lands lucrative first ever advertising deal | HELLO! Brooklyn Beckham looks set to follow in the footsteps of his famous parents after landing his first ever advertising deal. The 17-year-old, who has already featured in Vogue and Miss Vogue magazines, has signed a lucrative campaign deal with Chinese mobile phone company Huawei. The eldest child of David and Victoria Beckham has reportedly been paid £100,000 for the advert, which he filmed in London on Tuesday. Brooklyn is carving an impressive career for himself behind the camera too – he photographed the fragrance campaign for Burberry in January, after displaying his photography skills to his 7.6 million Instagram followers. Meanwhile the teen has seen his private life attract attention in recent weeks after confirming he is in a relationship with Chloe Moretz. The young couple have shared a number of loved-up photos together on social media, with Chloe crediting Brooklyn with boosting her confidence. Speaking to Elle.com, the actress explained: "I mean, don't get me wrong, I don't need a man for anything, but when I'm feeling bad about myself, he's like, 'Stop. Look at what you say in interviews. Look at what you stand for. Listen to your own words, because you're as beautiful as you say you are."